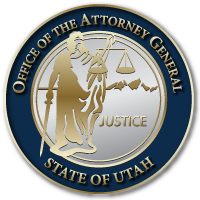 SALT LAKE CITY December 29, 2016 – Attorney General Sean Reyes issued the following statement upon the death of former Brigham Young University football coach LaVell Edwards. “On the passing of legendary Coach LaVell Edwards, our deepest sympathies and fondest alohas go out to Patty and Coach’s whole family. Based on how the Edwards family treats everyone, nearly the whole state seems to be part of their family — whether you played for BYU, rooted for them, or even played against them. “Coach LaVell Edwards is such a larger-than-life icon to so many of us that this day seemed like it could never really come. The State of Utah and the world have lost one of the truly remarkable ones in sport. His name will always be on the list of greatest college football coaches of all time. “No person in Utah has done more for athletics locally and nationally as a competitor, a coach, and an ambassador for sports and our state. Neither BYU nor our state will be quite the same without his presence. The reach of his coaching tree and influence is expansive. “Coach Edwards put BYU athletics on the map. But the legacy of his career was not just one of incredible success, consistency, and longevity on the field. Even more important, he was a family man, a community champion, a military veteran, a missionary for his faith, and a father figure and mentor to so many who came through his football program. “He was one of the classiest and most gentlemanly leaders you could ever meet. From the time I first met him my freshman year of college until the last time I saw him recently, he was wise, accessible, funny and genuinely interested in my welfare. I will always remember him taking time to talk to the fanboys and “little guys” like me. “He was often referred to as “a classic.” And he was — in many respects. He had a classic approach to the game of football, to winning the right way and deflecting attention from himself, and to nurturing young men. And he certainly he had his share of “classic” games and wins. This entry was posted in Archived Posts, Recent Posts and tagged Brigham Young University, BYU, LaVell Edwards on June 27, 2018 .